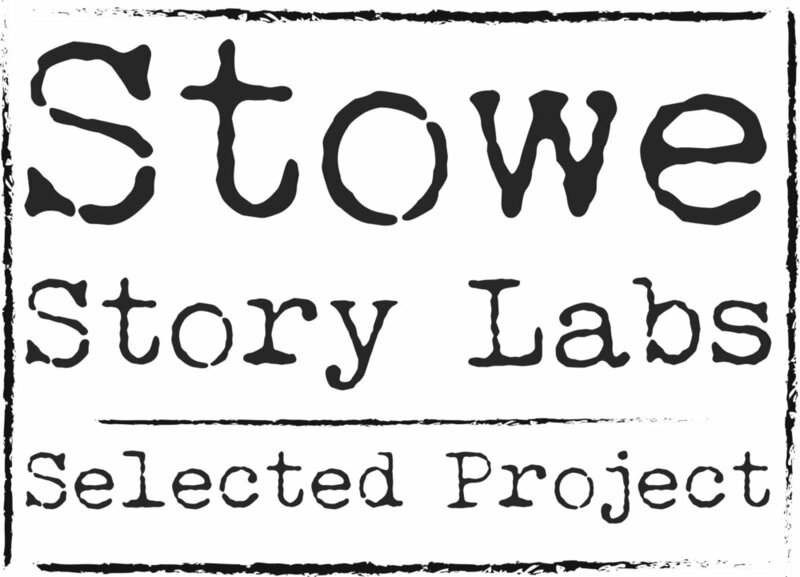 Stowe Story Labs is proud to support selected participant projects for fiscal agency. The mission of SSL Fiscal Agency is to help program alumni develop and advance their art and career in this complex industry. Stowe Story Labs alumni can initiate an application for fiscal agency by sending an email to info@stowestorylabs.org. Danielle Karagannis, a Los Angeles based screenwriter and director, is an alum of several Stowe Story Labs programs, including the Annual Fall Narrative Lab, the EFM / Berlinale experience, and the ongoing mentorship program, where she worked with seasoned Creative Producer and Stowe Story Labs mentor Paul Miller. Her newest project is GROUND CONTROL, a live action, psychological drama that's an interpretation of David Bowie's character Major Tom. Envision 2001: A Space Odyssey crashing into Requiem for a Dream... In a world where drugs are entirely shunned, an astronaut named Major Tom is assigned to export an exuberant number of drugs out of America and into space. Through GROUND CONTROL, we're taken on a visual and emotive intense, poetic ride that's unapologetic to truth, reality, and possesses an external layer of satire. You can learn more about the program and the project by reaching out to Danielle here. 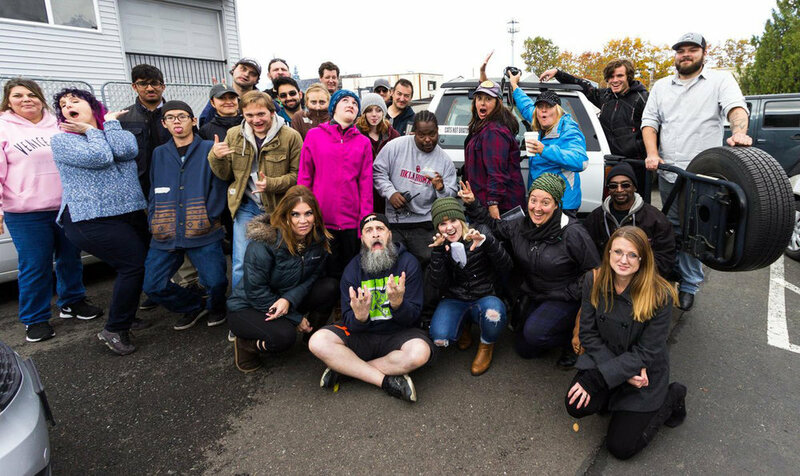 Stowe Story Labs is proud to support Danielle’s short / proof of concept project to help her prepare to shoot the feature version of this story..
Brian Padian is an alum of the labs, where he workshopped his concept for SISTER/BROTHER. Brian is a Portland, Oregon, based filmmaker and screenwriter. SISTER/BROTHER is a dramatic comedy about Nora Miles, a strong woman at a weak point in her life: recently-divorced, debt-burdened, and desperate to rise from the ashes of her mistakes. A road trip reunites Nora with her younger brother Scotty and brings them both to different places of growth and renewal. The ticking pulse of the film is Nora and her rebirth and transformation. Congratulations to Brian for successfully completing his Seed&Spark crowdfunding campaign. Painting-on-glass simulation image from Katharine’s work. The devastating Tubbs wildfire in Santa Rosa changed Katharine’s work—and her life—forever. As an animal lover, she became riveted by the stories of the cats who beat impossible odds to survive—and by the stories of the rescuers who spent hundreds of hours in the field to find them. She put down her screenplays, drafted an idea for a short documentary, and The Fire Cats of Santa Rosa was born. With a small grant and the blessing of Stowe Story Labs as her fiscal agency, she supplemented footage donated by the Sonoma County Sheriff’s office, firefighters, the rescuers, and acclaimed National Geographic drone cinematographer Douglas Thron, with two field trips to Santa Rosa. To create an immersive experience for the viewers to replicate the oral histories of the survivors, Katharine developed what she called painting-on-glass simulations. Part animation, part painting, the sequences combine rich colors and sometimes blurred motion. She is hoping to complete the film in the second quarter of 2019, incorporating the rescuers’ stories unfolding in the aftermath of the recent Camp Fire in California. The trailer has some of the donated footage as well as Katharine’s animation and can be seen here. Team Crazy Cat Lady at the Wrap. A Seattle-based screenwriter, filmmaker, and video editor, Carrie Wachob is an alum of the Stowe Story Labs and retreats. Her short film CRAZY CAT LADY crowdfunded earlier this year and wrapped post-production summer 2018. The short film recently won both the screenplay and filmmaking portions of the international Create50 competition, and will be included as a scene in the upcoming UK feature film THE IMPACT, written by Joe Eszterhas and starring Olivia Williams. A dark comedy about the end of the world, CRAZY CAT LADY is also beginning it's journey into the festival circuit as a standalone short film. "When Betty can't make it home to her darling Waffles, she must find another way to spread feline love."